Over the last ten years, technology has transformed almost every aspect of our lives before weve had time to stop and question it. In every home; on every desk; in every palm; a plasma screen; a monitor; a Smartphone - a black mirror of our 21st Century existence. Our grip on reality is shifting. We worship at the altars of Google and Apple. Facebook algorithms know us more intimately than our own parents. We have access to all the information in the world, but no brain space left to absorb anything longer than a 140 long character tweet. 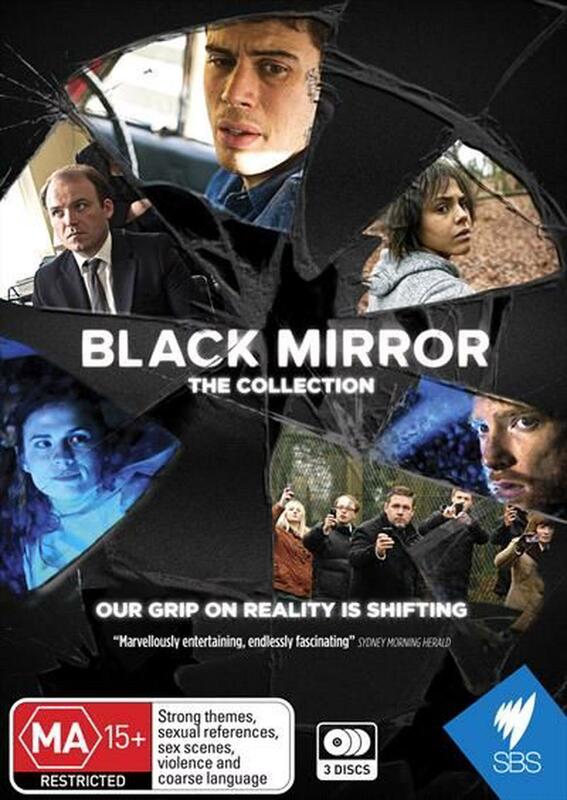 Black Mirror is a hybrid of The Twilight Zone and Tales of the Unexpected which taps into our contemporary unease about our modern world. The stand-alone dramas are sharp, suspenseful, satirical tales with a techno-paranoia bend all audacious What if stories: some comic, some shocking but all entirely unlike anything else you've ever seen on television.